Philips India, the leading lifestyle brand for male and female grooming gadgets, has always stood for style and all that it entails. Philips India is the official “Styling partner” for Lakmé Fashion Week Summer/Resort 2015 and has associated with Wendell Rodricks to create a special collection. This collection brings out the elements of Pop Art through high end fashion. Creative, edgy and unique, Philips gave a sneak peek of the leading designer Wendell Rodricks’ tribute to the nostalgic 1950’s movement: his collection ‘Popology for Philips 2015’. A preliminary glimpse of the collection was offered to the Mumbai bloggers’ community for a quick look and the visual feast mesmerized the fashion fervent audience. Conversations with Wendell Rodricks and the special preview of his collection were relished by the attendees. 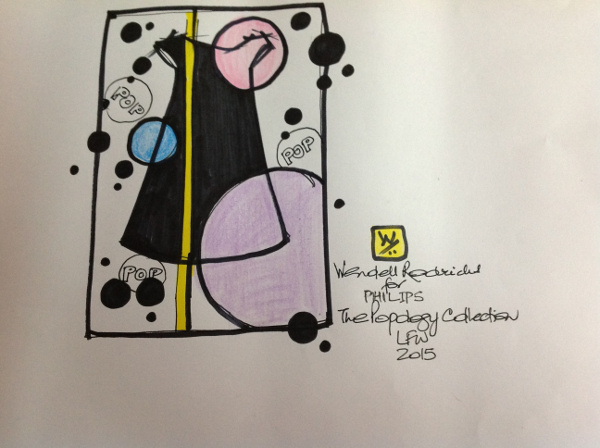 During the fashion week, Philips will also showcase its styling range through an exclusive association with the leading designer Wendell Rodricks show - POPOLOGY Collection for Philips 2015 - that takes inspiration from Pop Art. Keeping the latest styling trends in mind, Rodricks POPOLOGY Collection for Phillips 2015 defines the narrative of a nostalgic 60's emotion with a fashion forward look. For the first time ever, for Phillips Personal Care, Rodricks unfurls a vast colour palette that includes sunshine yellow, burnt orange, olive green, pale mint, dove grey, black, candy pink, pale lilac, Turkish blue, turquoise blue and signature white. This perfectly fits into the concept of youthful fashion of Philips, which is known for its personal care products, that marry the latest technology with ease of use to make styling oneself at home a reality.